The Difference is the Doctor! Many people are aware that their hearing has deteriorated but are reluctant to seek help. Perhaps they don't want to acknowledge the problem, are embarrassed by what they see as a weakness, or believe that they can "get by" without using a hearing aid. And, unfortunately, too many wait years, even decades, before getting treatment. Robert Thompson is a speech-language pathologist in Tulsa, OK. Practice Type: • School Practice Areas: • Speech Language Pathology • Autism • Cleft palate • Language acquisition disorders Take the next step and contact Robert Thompson for a consultation in Tulsa, OK or to get more information. TressieElaine Welte is a speech-language pathologist in Tulsa, OK. Practice Type: • Preschool Practice Areas: • Speech Language Pathology • Articulation and Phonological Process Disorders • Language acquisition disorders Take the next step and contact TressieElaine Welte for a consultation in Tulsa, OK or to get more information. Shannon Poe is a speech-language pathologist in Cleveland, OK. 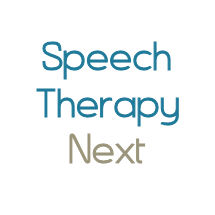 Practice Type: • Speech-Language Treatment Center/Clinic Practice Areas: • Speech Language Pathology • Speech Therapy Take the next step and contact Shannon Poe for a consultation in Cleveland, OK or to get more information. Robin Rodriguez-Higginbottom is a speech-language pathologist in Wagoner, OK. Practice Type: • Rehabilitation Hospital Practice Areas: • Speech Language Pathology • Speech Therapy Take the next step and contact Robin Rodriguez-Higginbottom for a consultation in Wagoner, OK or to get more information.